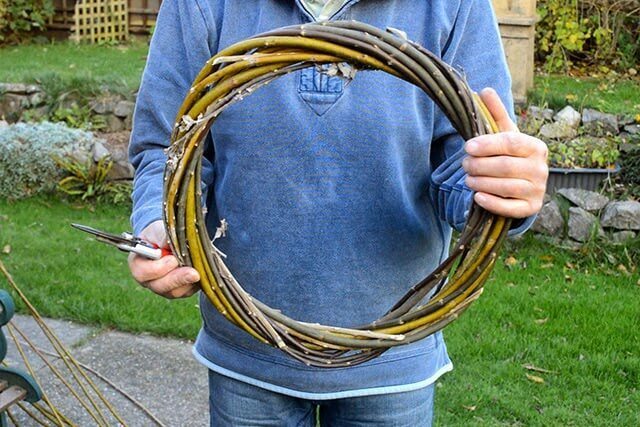 For years my friend ‘John Dog’ Callister has been showing locals how to weave willow Christmas wreaths. He’s now graciously allowed me to share his instructions on how you can create your own at home. 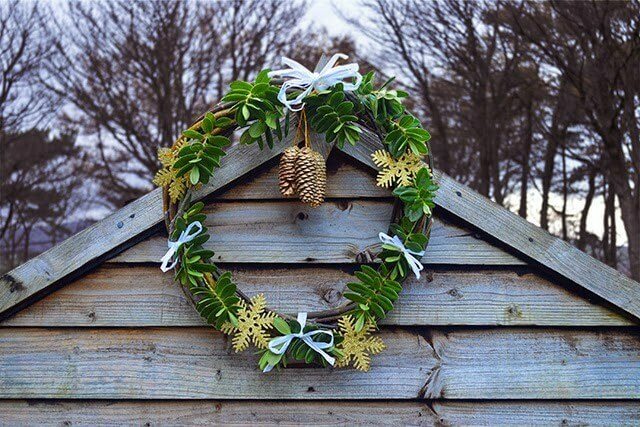 Willow Christmas wreaths are a great way to use foraged materials from the garden and hedgerow to create natural holiday decoration. They don’t take much skill to make so even the beginner can whip one up in no time. 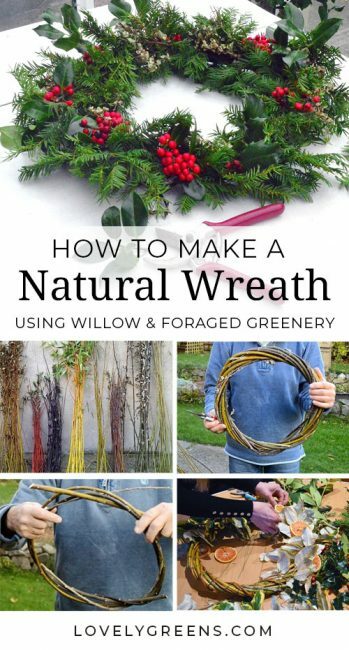 Creating a natural Christmas wreath begins with weaving a simple willow ring. You can make the rings as thick or thin as you’d like and once made they’ll last for years. 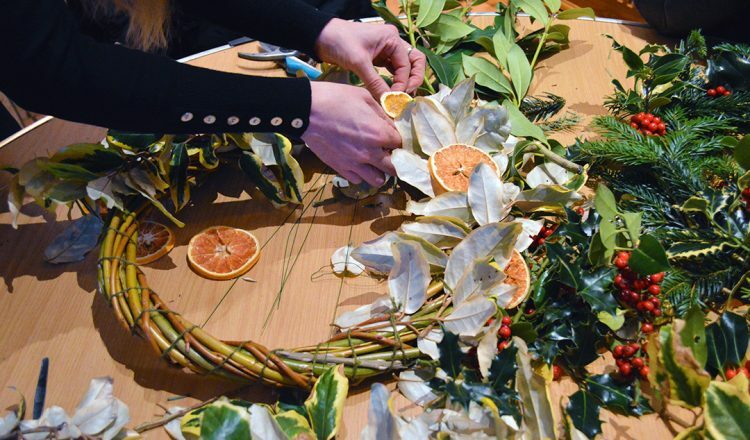 Afterwards you decorate the rings with fresh foraged greenery, berries, dried fruit, and ribbons. Making a wreath requires very little in the way of materials and equipment and will take you only about an hour to complete, start to finish. If you’re on the Isle of Man, we also hold an annual class on how to make these rings and decorate them. 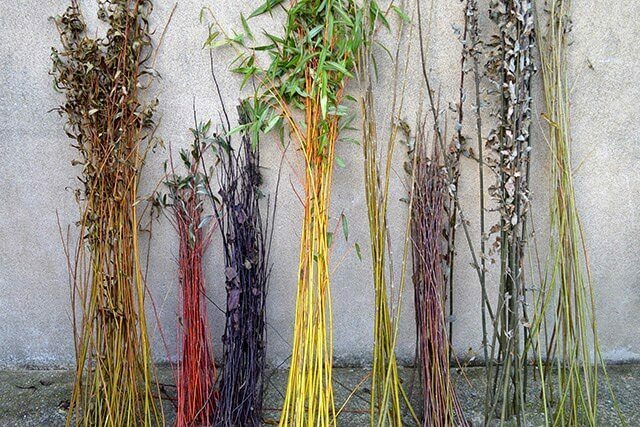 There are many types of willow and they come in a wide range of colours and textures. You can choose any and all of them for this project. It’s completely up to you, your preference, and what you have available. You can find willow that’s deep red and shiny, dusky green-grey, or even matte black. The image below shows a selection of willow that John ‘Dog’ brings to his courses for students to use. You’ll also need Secateurs to cut the willow and string or florist wire to attach any decorations and greenery to the ring. Making a wreath requires very little in the way of materials and equipment and will take you only about an hour to complete, start to finish. The willow used for this project came from John ‘Dog’ and he sourced it from a friend’s property. 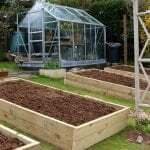 Growing willow on your land can help drain boggy areas and can also provide you with a regular and sustainable source of firewood. If you can’t source willow and greenery from your own land, you might be able to find them at a local florist or tree surgeon. 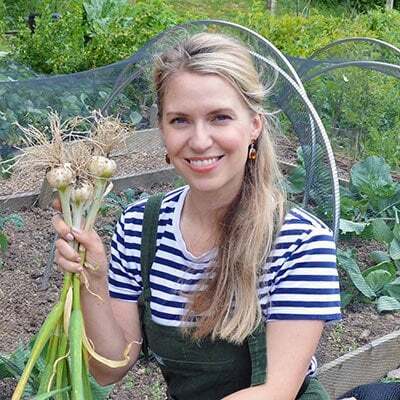 Another idea is to get in touch with local farms and the stallholders at Farmers Markets. Even if there isn’t any for sale at the stall, it is more than likely that you’ll be able to find a course through the resourceful folks at the market. 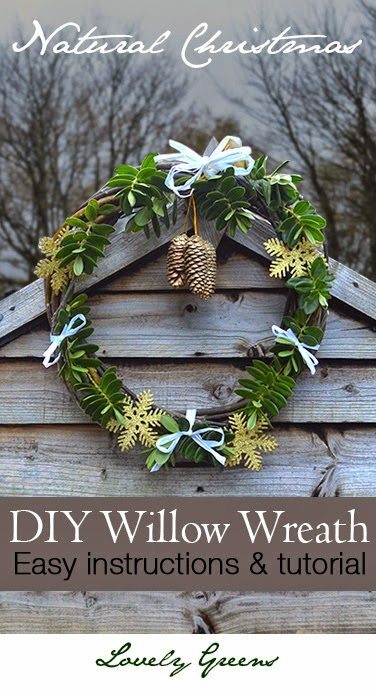 The artistry of a wreath lies in the willow frame which will take the most time to make in this project. It’s fairly simple though once you get the hang of it. 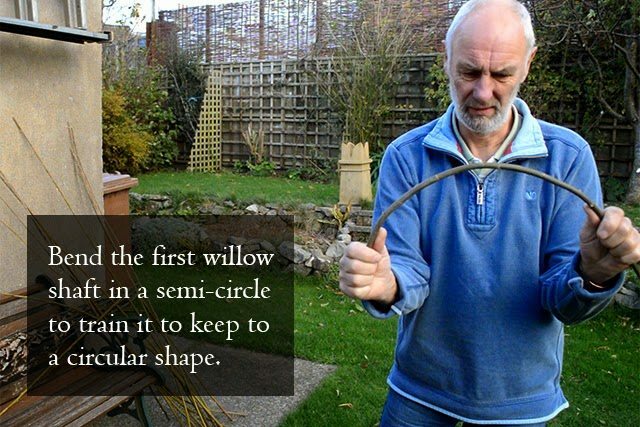 You begin by taking one of your willow switches and gently bend it to train it to want to go in a circular shape. Be gentle when ‘taking the Spite’ out of it, as it’s called, since you don’t want the willow to break or kink. Twist your switch into a circle shape just over twelve inches in diameter, or really as large as you’d like to go. 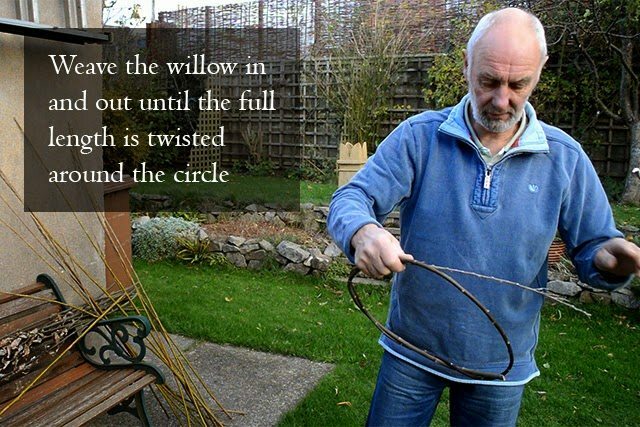 The trick here is to twist from the end of the thicker part so that the extra willow that’s left hanging outside of the circular shape is thinner and more pliable. 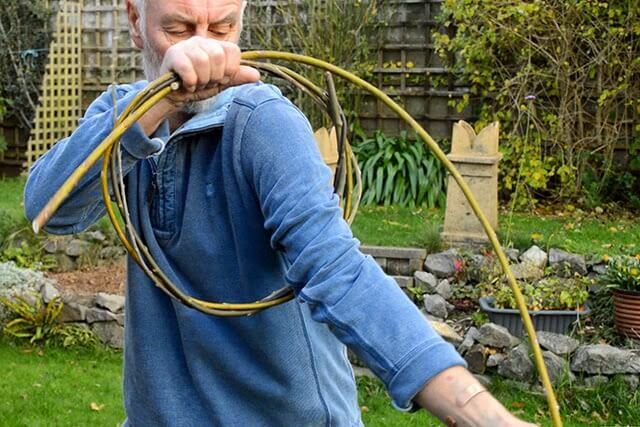 Weaving this leftover piece of willow around the initial circular shape will hold the whole thing in place. Reach your arm through the center of the wreath and grab hold of the very end of the willow you want to pull through. If you try to pull from other parts of the shaft then it’s possible your willow will bend or kink and you want to avoid doing that for cosmetic reasons. Pulling the end of that switch back through the center of the wreath again and again will naturally twist it around the circle and create the basis of the wreath. You will likely have extra willow that won’t tuck into the frame at the end. Don’t worry about this and just let it stick out for the time being. You’ll trim all excess willow at the end. Take the second willow switch and set the thicker end approximately six inches back from the thickest end of the first switch. By setting, I mean inserting it from the back of the wreath and pulling slightly so that the existing frame holds the new switch in place. Hold the switch in place with one hand, then reach with your second through the opening in the center of the wreath and grab the very end of the new switch. Pull it through and continue this pattern all around the wreath until nothing more can be pulled through. Repeat the previous step with many or as few willow shafts as you’d prefer. 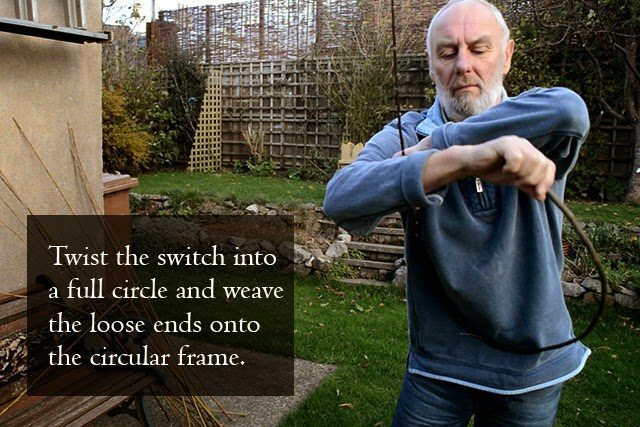 The wreath ring in the demo has eight switches but as John ‘Dog’ says, you could make your wreath as big as a house. Your willow ring will have ends of willow sticking out everywhere at this point. Use your sharp pair of secateurs to trim these off. 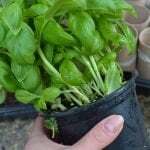 Trim at an angle so as to avoid chunky, blunt ends. Also wait until you’re finished adding switches before you begin trimming your ring. 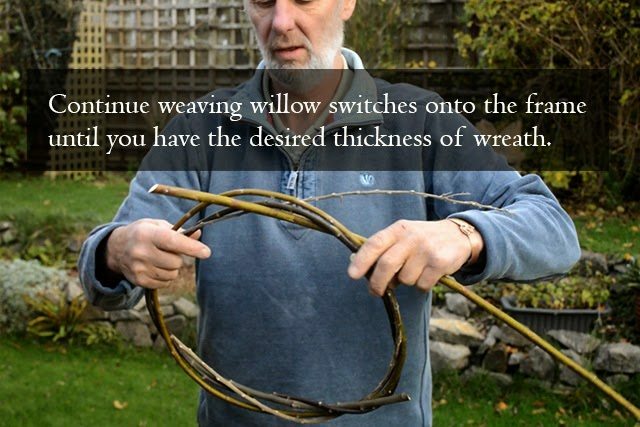 Wrap the entire willow ring with string to both hold it in place and to tuck your decorations into. You can keep the string on from year to year or remove it and put it back on when you decorate the ring. 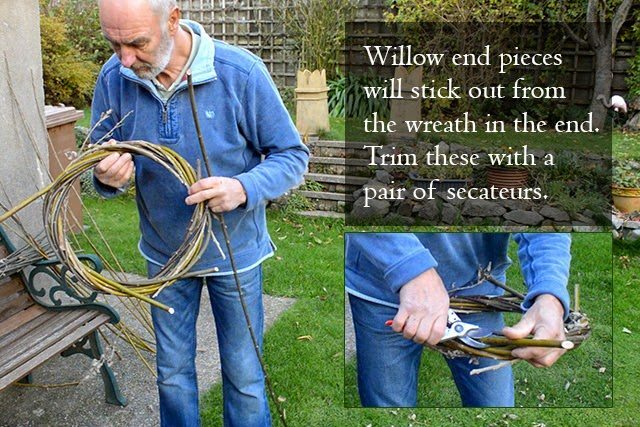 Decorate your willow frame with fresh greenery by simply tucking the ends in between the shafts of willow. I’ve also used raffia ribbon, gold pine cones and Christmas ornaments to finish mine off. 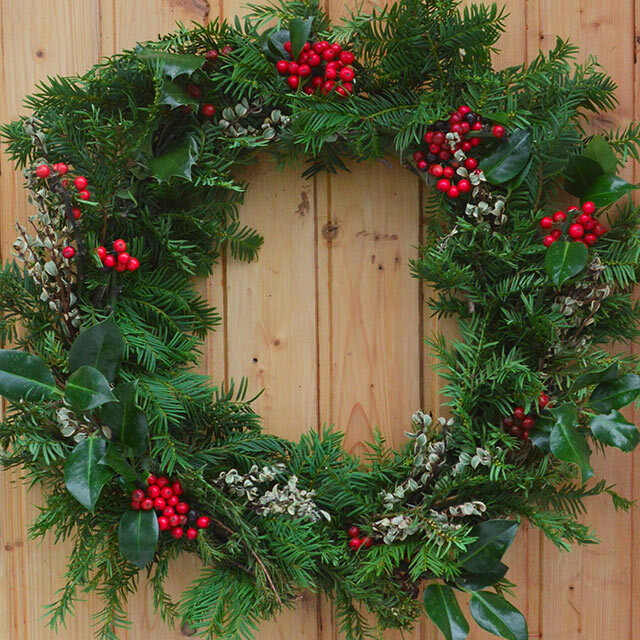 If using fresh greenery, the wreath will survive longer when outside in the cold. It could be hung from a door or gate or just propped up on the doorstep. Indoors it won’t last as long but at the end of its life all the greenery can be composted. That way the natural Christmas wreath completes its cycle and returns back to the garden. Wow, that is amazing. I would love to make one, but don't think I coudl. Beautiful.